The holidays are over. The Christmas tree has been haphazardly tossed to the curb. The bowl of Hershey Kisses is full of balled up foil and untouched Cherry Cordial leftovers. But it's still cold as hell. 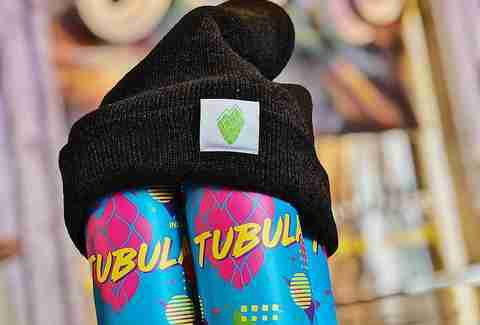 And between the sweater weather and shorter days, it's the perfect time to stock up on the best winter beers. 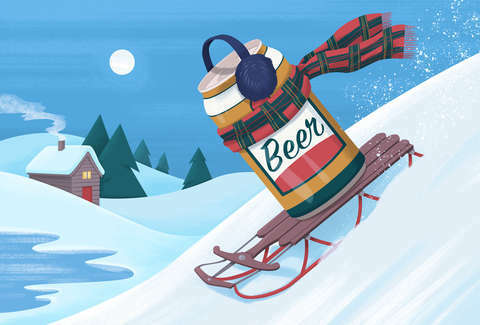 So we hit the beer stores to come up with some of our favorite brews that make this time of year so great, including some that aren’t specific to winter (because some beers just work well all year round). Winter just got a little warmer. In early November, Sierra Nevada’s headquarters announced they were temporarily suspending brewing due to the spreading wildfires in the foothills surrounding their facilities. By the time it had been contained weeks later, the historically devastating Camp Fire had burned more than 153,000 acres, killed at least 85 people, and destroyed more than 13,000 homes, resulting in an estimated $10 billion in damages. 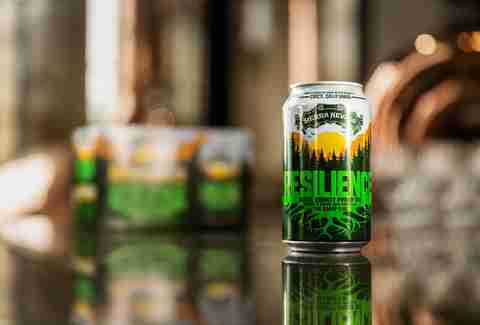 With hundreds of thousands in the state left reeling and displaced, Sierra Nevada’s response was to reply with Resilience IPA. Even in an industry where coming to the aid of others is a central philosophy, the results are unprecedented: 1,400 breweries have agreed to donate their time and labor, suppliers have donated ingredients and materials, and wholesalers and retailers agreed to donate every dollar received so that a full 100% of the sales of this beer will go to the Camp Fire Relief Fund. The brewery hopes that this unprecedented communal act within the brewing community can raise over $10 million to help rebuild. You can find it across the country on draft and in retail starting now. Any beer that was inspired by Mexican hot chocolate will always attract our attention, but when the end result tastes this good it deserves special attention. The darker notes of cinnamon and allspice work incredibly well with the ancho chili heat that kicks in more and more with each sip. As the brewers themselves suggest, try taking this beer out of the fridge and letting it sit at room temp for about 15 minutes before you drink it to really bring those flavors out. If there were ever a style of beer for anyone who is looking to step away from the darker releases that dominate the season, a solidly made Belgian IPA would be it. And this beer just happens to be that! All of the fruit forward, clovey notes you’ve come to love from Belgian yeast are put up against a bold American hop profile, with flavors of tropical fruit and citrus zest and a thoroughly dry finish. This beer will warm your bones in a very different way than that 12% stout you had last night -- and you’ll be happy about that. 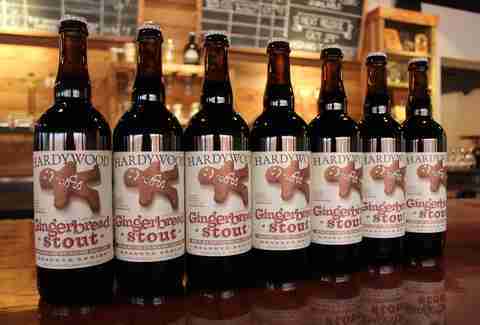 If there ever there was a layup choice for one of the best beers to bust out at a holiday party, Hardywood’s Gingerbread Stout would be it. That’s why it made our list of must-have stouts! And hold your judgement over the name, because there’s nothing over the top about it: Dark, roasty flavors and spice are achieved with the help of ingredients sourced from a local ginger farmer and honey from a local beekeeper. It’s smooth and dry on the finish, but here’s the real shocker: It tastes like a piece of damn gingerbread! In the end, just like a Frank Ocean song, it’s balanced yet bold enough to be comforting. We’re not exactly sure why dwindling daylight hours and dropping temperatures make few styles more appealing than rich Belgians, but we’re not going to protest it. 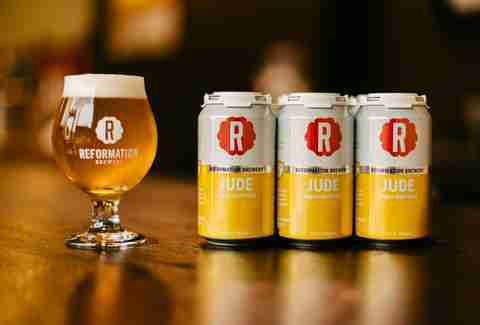 Besides, being able to find a solid tripel in a convenient single-serving size such as a 12oz can like Jude is not something one should so easily pass up. Bright citrusy notes of lemon and orange peel come through on the nose before rich layers of stewed plums, fruit cake, banana bread, and clove wash over the palate. As with all well-made tripels, the higher alcohol content is masked behind a smooth body, barely noticeable even on the long finish. With Asheville perched high atop the mountain of praise for North Carolina’s skyrocketing beer scene, it can be easy to forget that there is no shortage of great breweries in other parts of the state as well. Case in point: Charlotte’s Resident Culture, whose impressively diverse program boasts everything from juicy IPAs to complex sours to barrel-aged blended farmhouse ales. Ghost Particle, which falls under the latter category, uses blended saison that’s been aged in red wine barrels for a year. Swap this out for champagne at any party and you won’t be disappointed. We’ve reached a point where it’s almost easier to discover new memorable IPAs from Maine than it is to find cheap lobster rolls. Even with all of the dank noise, Orono has surpassed local expectations with one of their flagship offerings. It’s as hazy as its New England roots might suggest, bursting with tropical fruit and citrus while maintaining a clean balance over a medium body that sets it apart from others in the category. With a recent soft regional expansion throughout New England, there’s an even better chance you’ll be able to score some without having to drive to the Bangor ‘burbs. Beside Die Hard, there are arguably few greater traditions that were born in the winter of 1988 than the release of Alaskan Brewing’s Smoked Porter. Thirty years and mountains of awards later, this beer has become the stuff of legends from Juneau to Jacksonville, and not just thanks to the changing complexities between vintages. Open any recently released bottle and you’ll immediately pick up a smokiness like sitting next to a roaring campfire, with flavors of strong cold-brewed coffee, bitter chocolate, and an underlying alcoholic warmth that could break through even the chilliest night in Talkeetna. Scoring a bottle of this year’s 30th anniversary release should be a top goal for anyone looking to complete a memorable vertical, but milestone birthdays aside, it’s still just a memorably great beer. If you, like many others, take winter as an opportunity to ramp up your time in the kitchen, there’s a good chance you’re going to need more beers that will pair with the heavier dishes you’ll be cooking. That’s where Dark Hollow comes in, a pitch perfect winter beer from West Kills farm brewery in the heart of the Catskills. While this beer may have chocolate in its name and ingredient bill, it is *not* a pastry stout, playing more a part in the aroma than in the flavor of this well balanced beer. Medium bodied with roasty espresso flavors and a dry finish, it’s perfect alongside (or as an ingredient in) roasted meats, rich stews, or baked desserts. It’s also good on its own. You may have heard your local beer merchants and brewers rambling on about how schwarzbiers are totally having a “moment” right now (or was that us? 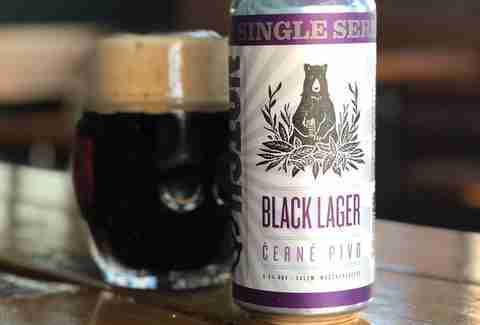 ), and with Americans embracing darker beers as colder weather settles in, it’s no surprise to see the trend evolving to include other styles. Take Černé, for example, a Czech dark lager that is very similar to its German cousin, but with a slightly maltier, fuller-bodied, and rounder mouthfeel. While this style might not be the first to come to mind for even experienced beer fans, just one sip makes its appeal easy to understand, especially in the hands of a capable brewery like Notch. This year marks the second release of this relative rarity, which boasts bready malt-driven flavors, roasty notes, and a rounded, smooth finish, all while maintaining the brewery’s (and style’s) trademark sessionably low alcohol level. Thank you once again, Germany, for reminding us that there’s much more than one way to do richer, darker beer. 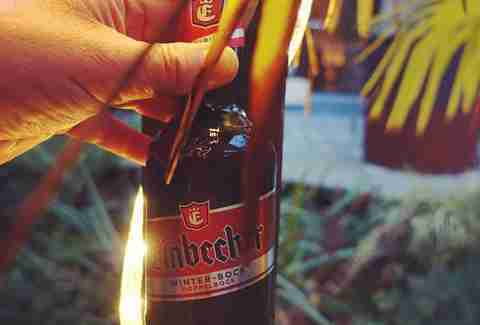 Einbecker’s winter doppelbock is as brooding as Jon Snow at a Morrissey concert, with dark, bready malt, dried fruits, caramel notes, and roasted chestnuts. It all wraps up with a finish that sneaks up on you like a plot revelation on Westworld. Swap this in for mulled wine or spiced cocktails when you’re looking for something different!